Background: Rac and Cdc42 are members of the Rho-GTPase family. In mammals, Rac exists as three isoforms, Rac1, Rac2 and Rac3, which are highly similar in sequence. 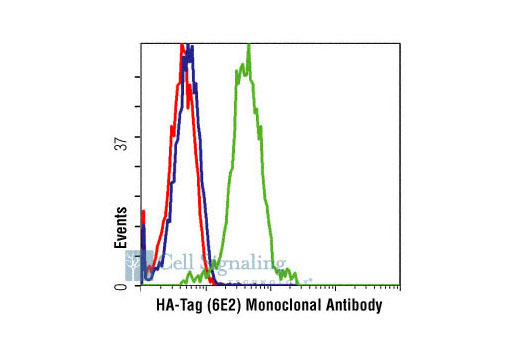 Rac1 and Cdc42, the most widely studied of this group, are ubiquitously expressed. 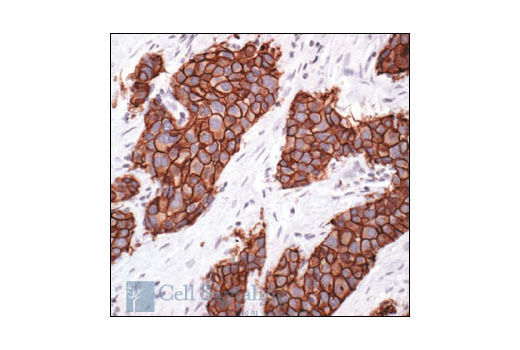 Rac2 is expressed in cells of hematopoietic origin, and Rac3, while highly expressed in brain, is also found in many other tissues. Rac and Cdc42 play key signaling roles in cytoskeletal reorganization, membrane trafficking, transcriptional regulation, cell growth and development (1). 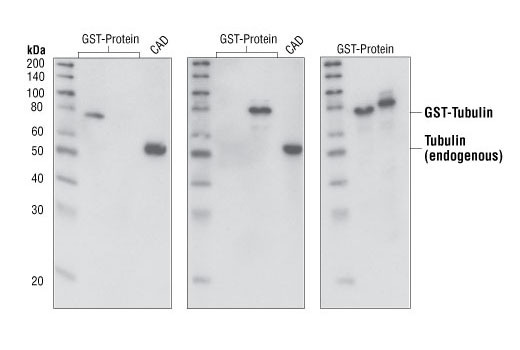 GTP binding stimulates the activity of Rac/Cdc42, and the hydrolysis of GTP to GDP through the protein's intrinsic GTPase activity, rendering it inactive. 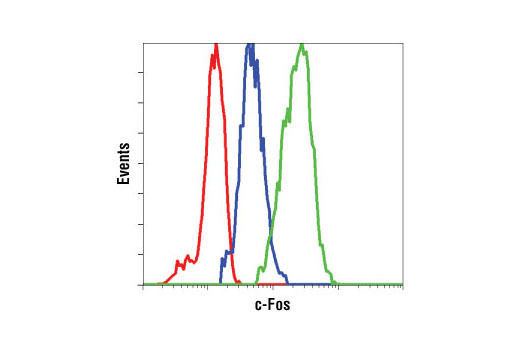 GTP hydrolysis is aided by GTPase activating proteins (GAPs), while exchange of GDP for GTP is facilitated by guanine nucleotide exchange factors (GEFs). 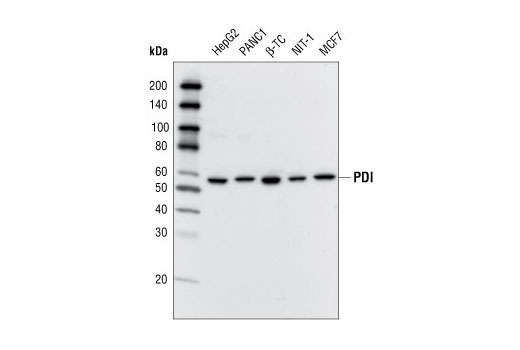 Another level of regulation is achieved through the binding of RhoGDI, a guanine nucleotide dissociation inhibitor, which retains Rho family GTPases, including Rac and Cdc42, in their inactive GDP-bound state (2,3). 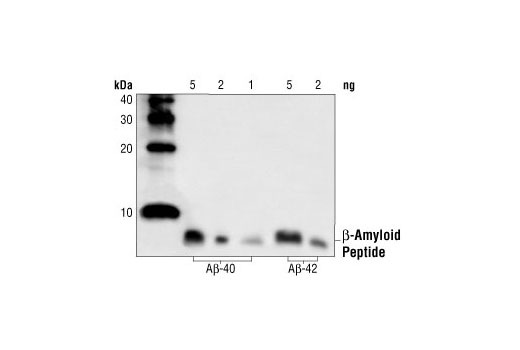 Background: Amyloid β (Aβ) precursor protein (APP) is a 100-140 kDa transmembrane glycoprotein that exists as several isoforms (1). The amino acid sequence of APP contains the amyloid domain, which can be released by a two-step proteolytic cleavage (1). The extracellular deposition and accumulation of the released Aβ fragments form the main components of amyloid plaques in Alzheimer's disease (1). APP can be phosphorylated at several sites, which may affect the proteolytic processing and secretion of this protein (2-5). 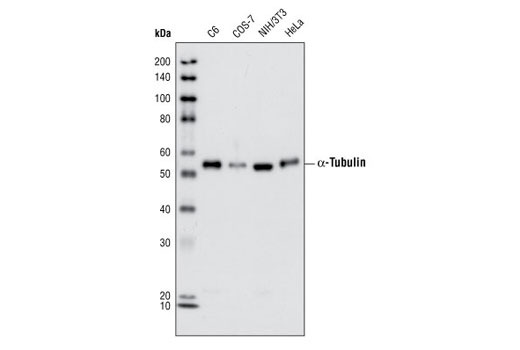 Phosphorylation at Thr668 (a position corresponding to the APP695 isoform) by cyclin-dependent kinase is cell-cycle dependent and peaks during G2/M phase (4). APP phosphorylated at Thr668 exists in adult rat brain and correlates with cultured neuronal differentiation (5,6). Background: Peroxisome proliferator-activated receptor γ (PPARγ) is a member of the ligand-activated nuclear receptor superfamily and functions as a transcriptional activator (1). 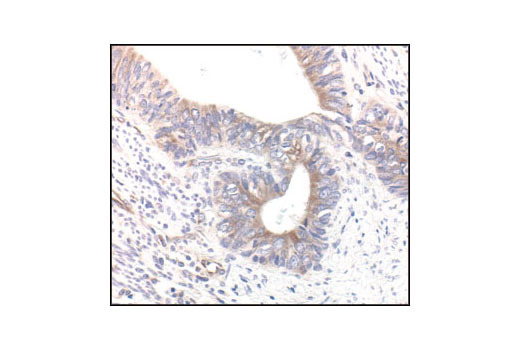 PPARγ is preferentially expressed in adipocytes as well as in vascular smooth muscle cells and macrophage (2). 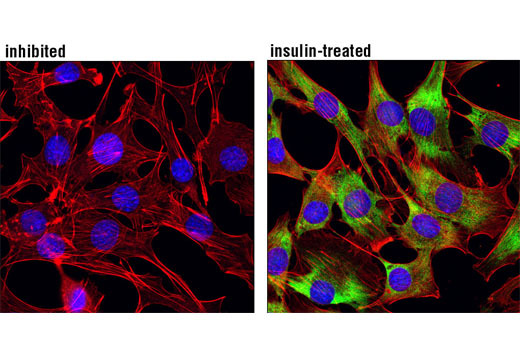 Besides its role in mediating adipogenesis and lipid metabolism (2), PPARγ also modulates insulin sensitivity, cell proliferation and inflammation (3). 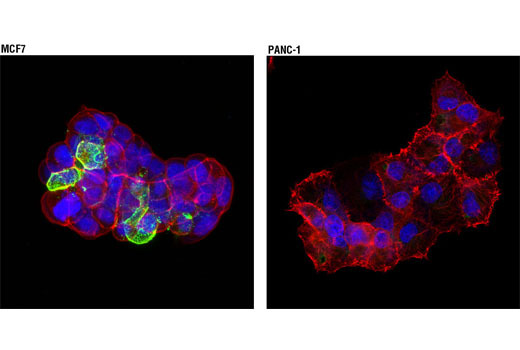 PPARγ transcriptional activity is inhibited by MAP kinase phosphorylation of PPARγ at Ser84 (4,5). 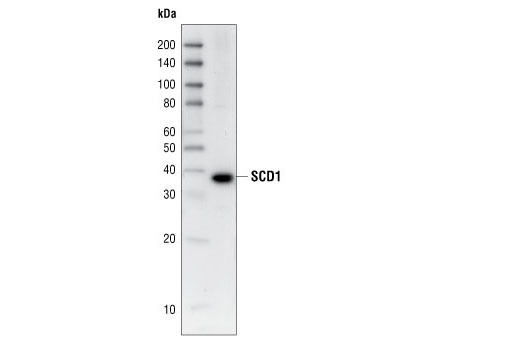 Background: Cathepsin D is a ubiquitously expressed lysosomal aspartyl protease involved in the normal degradation of proteins (1). 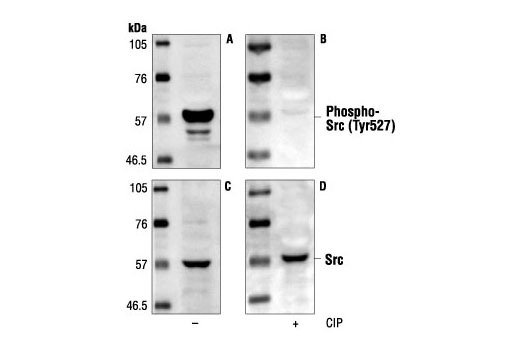 It is synthesized as an inactive 43 kDa preprocathepsin D that is cleaved and glycosylated to form a 46 kDa procathepsin D and then further cleaved to produce 28 kDa and 15 kDa subunits (heavy and light chains, respectively) (2). 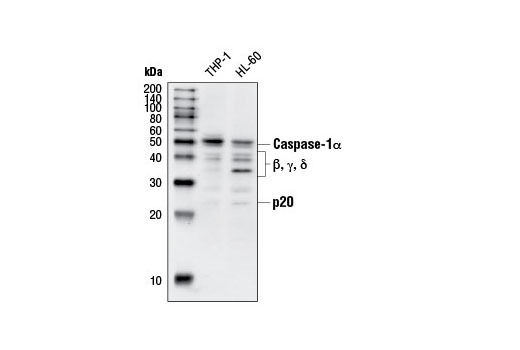 Cathepsin D may also be secreted into the cytosol during apoptosis and contribute to cleavage of substrates implicated in the apoptotic pathway (3). 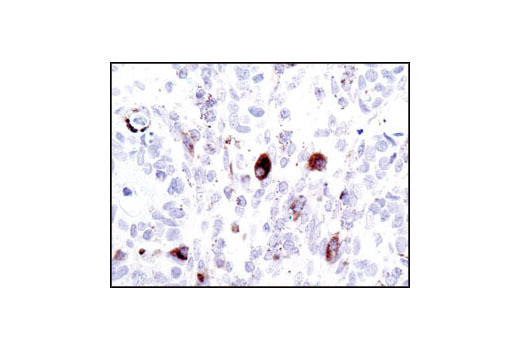 Numerous studies have suggested that cathepsin D plays a role in neuronal degradation and malignant transformation, particularily in breast cancer (4-9). 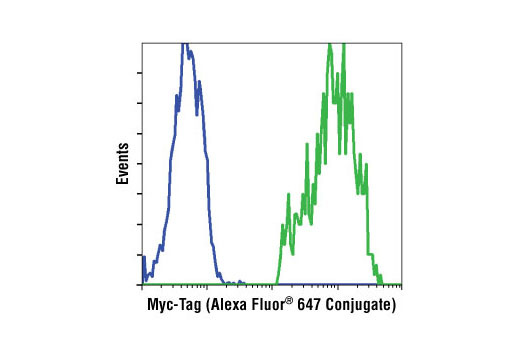 This Cell Signaling Technology antibody is conjugated to Alexa Fluor® 647 fluorescent dye and tested in-house for direct flow cytometry and immunofluorescent analysis in cells transfected with Myc-tagged protein. Background: One way that growth factors and mitogens effectively promote sustained cell growth and proliferation is by upregulating mRNA translation (1,2). 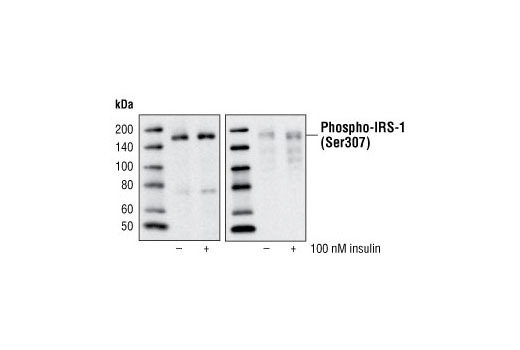 Growth factors and mitogens induce the activation of p70 S6 kinase and the subsequent phosphorylation of the S6 ribosomal protein. Phosphorylation of S6 ribosomal protein correlates with an increase in translation of mRNA transcripts that contain an oligopyrimidine tract in their 5' untranslated regions (2). These particular mRNA transcripts (5'TOP) encode proteins involved in cell cycle progression, as well as ribosomal proteins and elongation factors necessary for translation (2,3). 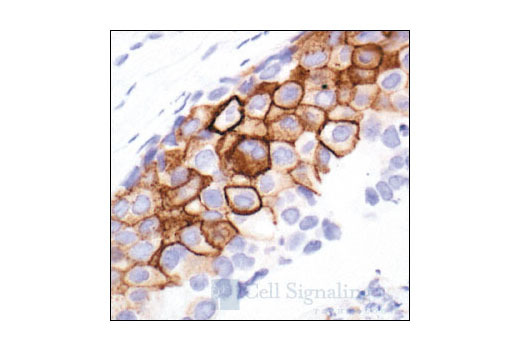 Important S6 ribosomal protein phosphorylation sites include several residues (Ser235, Ser236, Ser240, and Ser244) located within a small, carboxy-terminal region of the S6 protein (4,5). 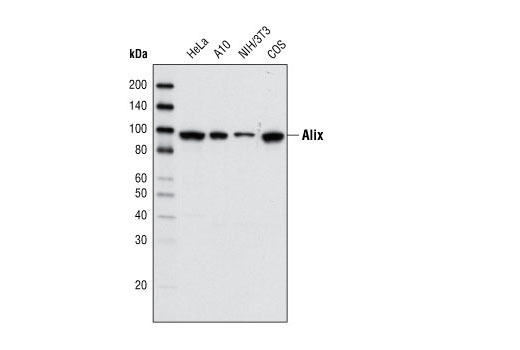 Background: Alix, a phylogenetically conserved cytosolic scaffold protein, contains an N-terminal Bro1 domain, a coiled-coil region and a C-terminal proline-rich domain (1,2). Originally identified as an ALG-2 (apoptosis-linked gene 2)-interacting protein involved in programmed cell death (3,4), Alix also regulates many other cellular processes, such as endocytic membrane trafficking and cell adhesion through interactions with ESCRT (endosomal sorting complex required for transport) proteins, endophilins, and CIN85 (Cbl-interacting protein of 85 kDa) (5,6). 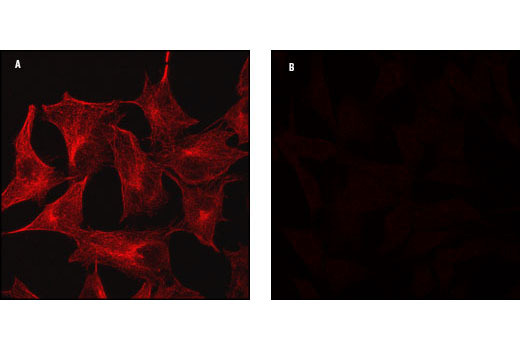 Background: Axin1 (Axis inhibition protein 1) and Axin2 are multidomain scaffold proteins that negatively regulate Wnt signaling. Axin1 interacts with APC, GSK-3β, Dvl, and β-catenin and promotes the GSK-3β-mediated phosphorylation and subsequent degradation of β-catenin (1,2). 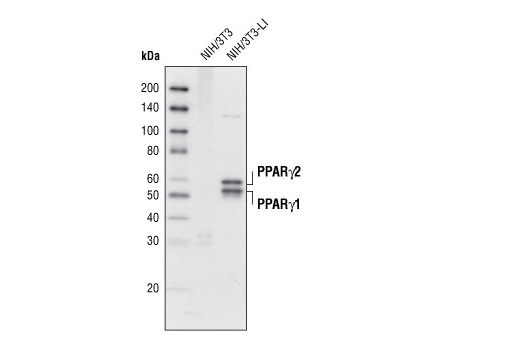 Upon stimulation of cells with Wnt, Axin1 is recruited to the membrane by phosphorylated LRP5/6, a process that is believed to be crucial for activation of Wnt signaling (3,4). 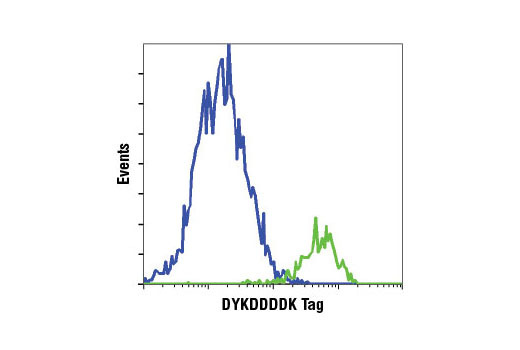 In addition to its role in the Wnt signaling pathway, Axin1 forms a complex with MEKK1 and activates c-Jun amino-terminal kinase (JNK/SAPK) (5). Axin2 (also known as Conductin or Axil) can functionally substitute for Axin1 in mice (6). 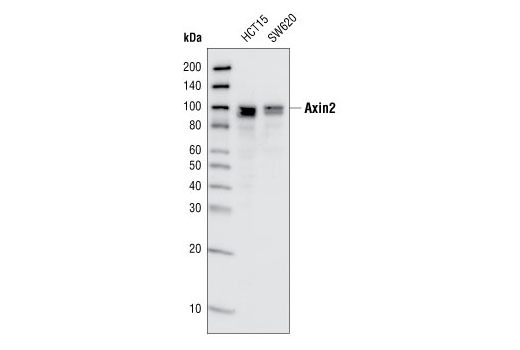 Axin2 itself is a direct target of the Wnt signaling pathway and therefore serves to control the duration and/or intensity of Wnt signaling through a negative feedback loop (7-9). Background: The cytoskeleton consists of three types of cytosolic fibers: microtubules, microfilaments (actin filaments), and intermediate filaments. Globular tubulin subunits comprise the microtubule building block, with α/β-tubulin heterodimers forming the tubulin subunit common to all eukaryotic cells. γ-tubulin is required to nucleate polymerization of tubulin subunits to form microtubule polymers. Many cell movements are mediated by microtubule action, including the beating of cilia and flagella, cytoplasmic transport of membrane vesicles, chromosome alignment during meiosis/mitosis, and nerve-cell axon migration. These movements result from competitive microtubule polymerization and depolymerization or through the actions of microtubule motor proteins (1). 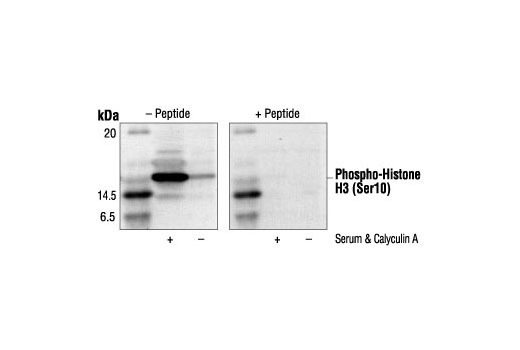 This peptide is used to block Phospho-Histone H3 (Ser10) (D2C8) XP Rabbit mAb #3377 reactivity. Background: Modulation of chromatin structure plays an important role in the regulation of transcription in eukaryotes. The nucleosome, made up of DNA wound around eight core histone proteins (two each of H2A, H2B, H3, and H4), is the primary building block of chromatin (1). The amino-terminal tails of core histones undergo various post-translational modifications, including acetylation, phosphorylation, methylation, and ubiquitination (2-5). These modifications occur in response to various stimuli and have a direct effect on the accessibility of chromatin to transcription factors and, therefore, gene expression (6). 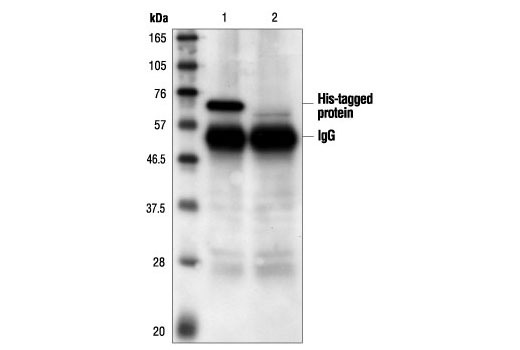 In most species, histone H2B is primarily acetylated at Lys5, 12, 15, and 20 (4,7). 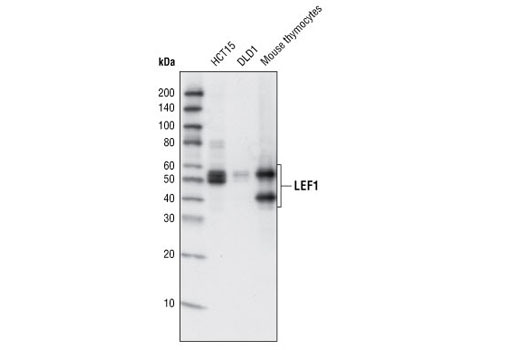 Histone H3 is primarily acetylated at Lys9, 14, 18, 23, 27, and 56. Acetylation of H3 at Lys9 appears to have a dominant role in histone deposition and chromatin assembly in some organisms (2,3). Phosphorylation at Ser10, Ser28, and Thr11 of histone H3 is tightly correlated with chromosome condensation during both mitosis and meiosis (8-10). 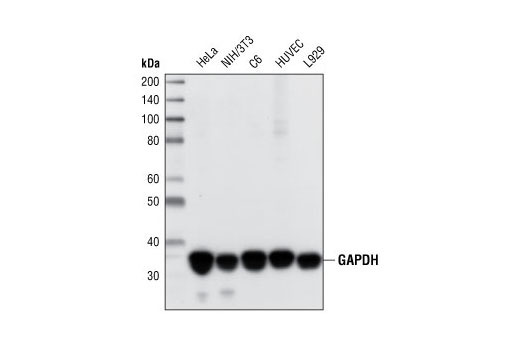 Phosphorylation at Thr3 of histone H3 is highly conserved among many species and is catalyzed by the kinase haspin. 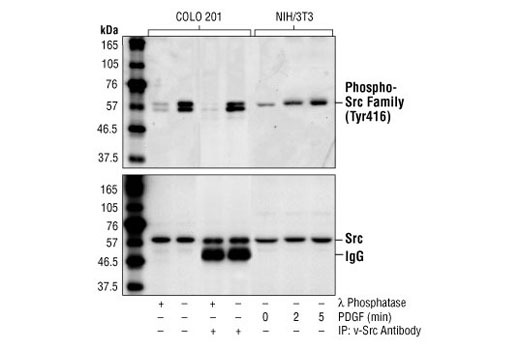 Immunostaining with phospho-specific antibodies in mammalian cells reveals mitotic phosphorylation at Thr3 of H3 in prophase and its dephosphorylation during anaphase (11).